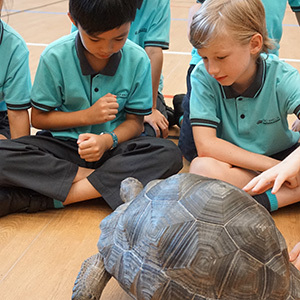 Opened in September 2014, Nord Anglia International School has quickly established itself as a leading school known for high quality of teaching and learning. A new campus is due to open in August 2017 which will house Early Years and Years 1-3 while the existing campus will have Years 1 – 10, adding further Year groups annually. 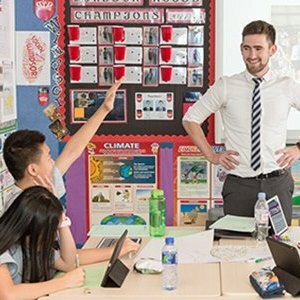 The English National Curriculum is delivered tailored to our context, followed by IGCSE and IB Diploma courses. Uniquely, Art, Music, Drama, P.E. and Mandarin are all delivered by specialist teachers from Year 1 upwards. There is a strong and vibrant House system which supports our Pastoral care aims and our Be Ambitious philosophy for success, academically, socially and personally. Professional development is highly valued with extensive in-house and external opportunities including Middle and Senior Leadership training and enthusiastic Professional Learning communities. You will be joining a highly talented, supportive and collaborative body of staff who are open to new ideas and to change. Each Nord Anglia Education school is unique in character and designed to meet the needs of its community. We believe that being part of our family of 43 schools gives them a special advantage. Working together, we can achieve more than we can individually. Our schools have a wide range of resources and support to enhance our students’ success. We also create unique opportunities to benefit our students and people such as the Global Campus, Nord Anglia University, and our collaborations with The Juilliard School, Massachusetts Institute of Technology (MIT) and King’s College London. Join our fast-paced international environment, and you will deliver UK National Curriculum and IGCE or International Baccalaureate programmes. You will challenge your students to set ambitious targets for themselves and seek out and implement innovative teaching practices to enhance the student experience and outcomes. A strong ambassador for the school, you will be able to develop new ways to engage students and parents with the wider school and Nord Anglia Education community. Your strong motivation and communication skills will also enable you to create a feeling of energy, excitement and personal investment within the classroom. You will also be able to meet visa-related restrictions, including Hong Kong. When you join a Nord Anglia Education school, you join a global community of more than 8,000 people working together to support our students’ success. We offer you unsurpassed opportunities to innovate and develop best practice across our family, to access extensive professional development, and to gain exceptional experience and career development in our schools. 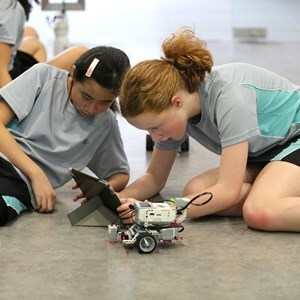 At Nord Anglia, you will have opportunities to progress more, learn more, and collaborate more. We offer career and development opportunities that come with being part of our global organisation. Nord Anglia University unites our team through a vibrant online platform which harnesses the collective expertise of their peers in an exchange of knowledge, ideas and best practice. 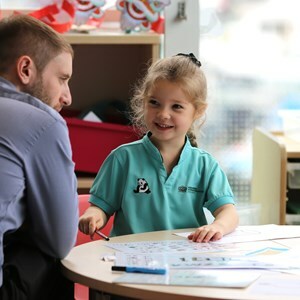 We also provide extensive online and face-to-face professional development through Nord Anglia University to ensure that our teachers don’t just maintain their skills, they develop at the cutting edge of educational thinking. Our collaborations with The Juilliard School and the Massachusetts Institute of Technology (MIT) offers our teachers unrivalled access to leading experts in their fields. We also offer selected candidates from our staff worldwide an opportunity to earn their Executive Masters in International Education in an exclusive collaboration with King’s College London. Alongside great training and a competitive package, you’ll enjoy the chance to live and work in one of the worlds' most vibrant cities. Applications should be made online through our application link. CVs by post or email will not be processed. The closing date for applications is 22 December 2016. Interviews will be conducted by Skype, telephone or face-to-face in Hong Kong or at the Nord Anglia Education Recruitment Event being held in Central London between 19th and 21st January, 2017. At Nord Anglia Education we are committed to providing a world class, safe, happy environment in which children and young people are able to thrive and learn. We are committed to safeguarding and promoting the welfare of all our pupils irrespective of race, ability, religion, gender or culture. All post holders in regulated activity (having regular unsupervised contact with children) are subject to appropriate national and international vetting procedures including satisfactory criminal record checks from both Country of residence/birth and any Country of residence within the last 10 years.